Exporter of a wide range of products which include neksium capsules, ibandronate tablets, bondronat 6 mg - ibandronic acid injection and risofos 35 mg/ 75 mg/ 150 mg tab. 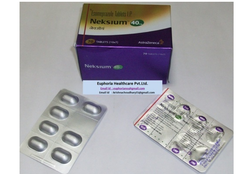 We are an eminent organization that is involved in wholesaling, trading, retailing and exporting Neksium Capsules. The drug we offer is indicated for the short-term treatment in the healing and symptomatic resolution of diagnostically confirmed erosive esophagitis. Nexium may also be given to prevent gastric ulcer caused by infection with helicobacter pylori. We are a prominent wholesaler, trader, retailer and exporter of extensive range of superior quality Ibandronate Tablets. These tablets are prescribed for the treatment and prevention of osteoporosis in postmenopausal women. Ibandronate sodium increases bone mineral density (BMD) and reduces the incidence of vertebral fractures. Bondronat 6 mg - Ibandronic Acid Injection is in the group of medicines called bisphosphonates (bis FOS fo nayts). It alters the cycle of bone formation and breakdown in the body. 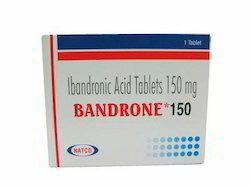 Bandrone (Ibandronic Acid) slows bone loss while increasing bone mass, which may prevent bone fractures. 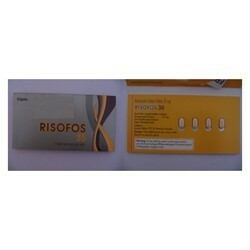 With firm commitment to quality, we are wholesaling, trading, retailing and exporting a comprehensive range of Risofos 35 mg/ 75 mg/ 150 mg Tab. The medicine made available by us is used to treat and prevent osteoporosis by slowing calcium loss from the bones and reducing the action of the osteoclasts. Besides, we make sure that the consignments are timely delivered at our clients’ destinations.